If you’re traveling over the holidays, then you're not alone. The holiday season is the most hectic time of year for long-distance travel, and heavy traffic and busy airports can be a headache. Fortunately, with some planning and preparation, you can save yourself from stress and survive the holiday travel season with ease. 1. Pack smart. Sticking with carry-on luggage is the best way to save money and time at the airport. Fees for checking a bag may be higher during the holidays, and many airlines allow you to bring one personal item and one carry-on for free. Just make sure the airline does not charge for carry-on luggage, as many budget airlines, including Spirit and Frontier, do. Whether or not you check a bag, make sure it satisfies the weight and size requirements. Additionally, don’t pack wrapped gifts. It's best to ship holiday gifts ahead of time or wrap them once you get to your destination, as the TSA may need to unwrap them for further examination. 2. Go mobile. Many carriers allow you to check in online and print your boarding pass at home. While that can help you save time, you can save even more time by checking in on your mobile device. When you check in from your smartphone, you'll receive a digital boarding pass with a bar code, which can be saved on your phone as a photo. 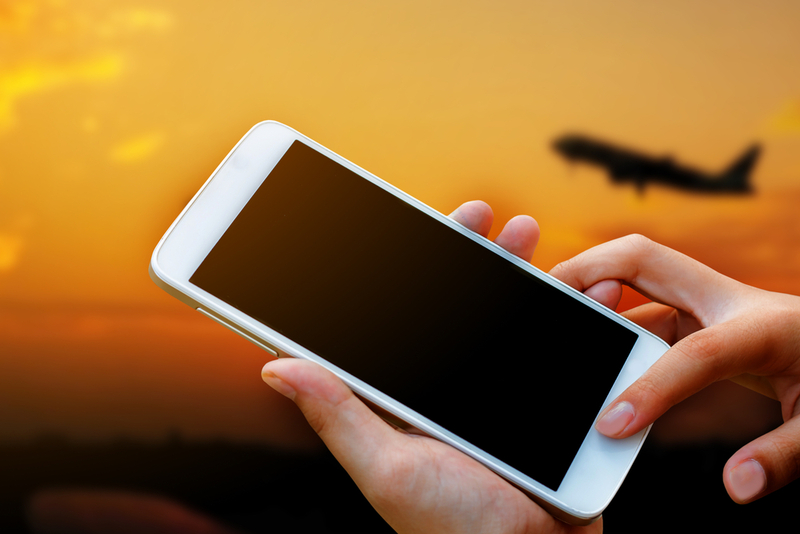 As most travelers always have their smartphone on hand, it makes it easier for them to have their boarding pass accessible and ready at security and the gate. 3. Get there faster. Peak travel days have their own set of challenges, such as traffic, crowded parking lots, and long lines. To arrive at your gate faster, check in on your mobile device ahead of time (up to 24 hours before your flight departs), make a guaranteed parking reservation, and leave earlier than you normally would. 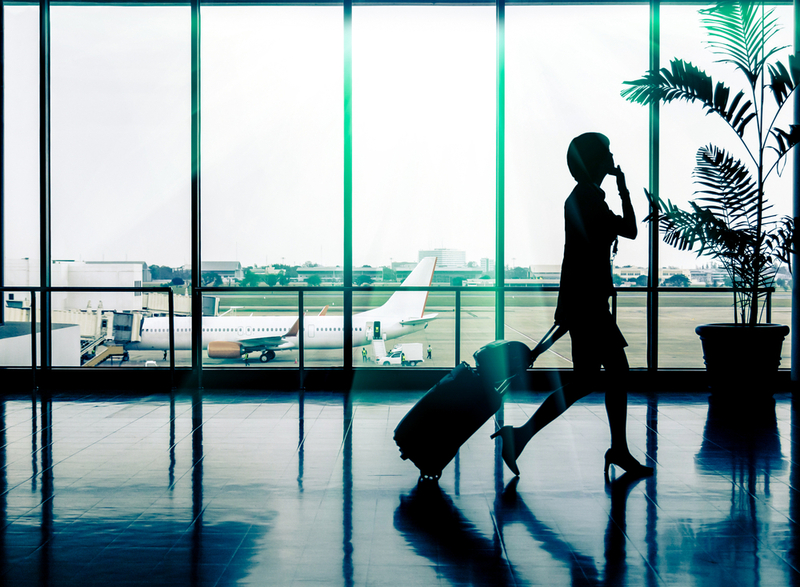 Checking in before you arrive at the airport guarantees you an assigned seat and lowers the likelihood that you'll get switched to a later flight if the plane is overbooked. As for parking, reserving a parking spot at a reliable parking service can save you loads of time. If you're traveling out of the Bradley International Airport, you can enjoy the cheapest rates and most reliable service from our long term Bradley parking service. Have a smooth and pleasant holiday travel experience by following these tips. Thanksgiving is just around the corner. About two weeks now millions of Americans will be traveling long distances to visit relatives or vacation over the extended weekend. 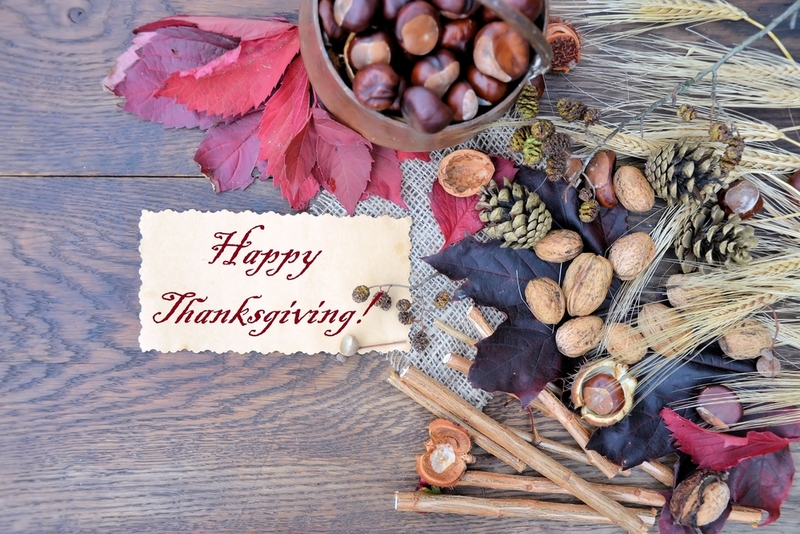 Thanksgiving is known as the busiest time for travel of the year, and the high volume of travelers can result in undesirable situations, such as traffic jams and flight delays. However, with the right planning, you can cut the stress out of Thanksgiving travel and focus on enjoying your trip. Here are some helpful tips for minimizing stress when traveling over Thanksgiving from our Bradley Airport Parking service. Last year, AAA anticipated 46 million people would travel on Thanksgiving— the most since 2007. This year, you should expect no different and allow yourself plenty of time to deal with the crowds of other travelers. Generally, it's recommended to arrive at the airport two hours before a domestic flight and three hours before an international flight. But, for Thanksgiving you should arrive up to three hours before your flight to allow time for holiday traffic, parking and airport security. Have you ever arrived at the airport to learn that your flight has been delayed or canceled? It's not a happy feeling. Save yourself the time and stress by checking your flight status before you leave. With the large number of travelers and unpredictable weather conditions that come with this time of year, you should be checking your flight status every 30 minutes before heading to the airport. By staying on top of it, you'll be ready to set up a backup plan should any major issues arise. Sticking with a carry-on suitcase will save you time and money. And, if you have a family, luggage fees can really add up. By sticking to a carry-on and checking in online, you can skip the check-in stage and head straight for security. 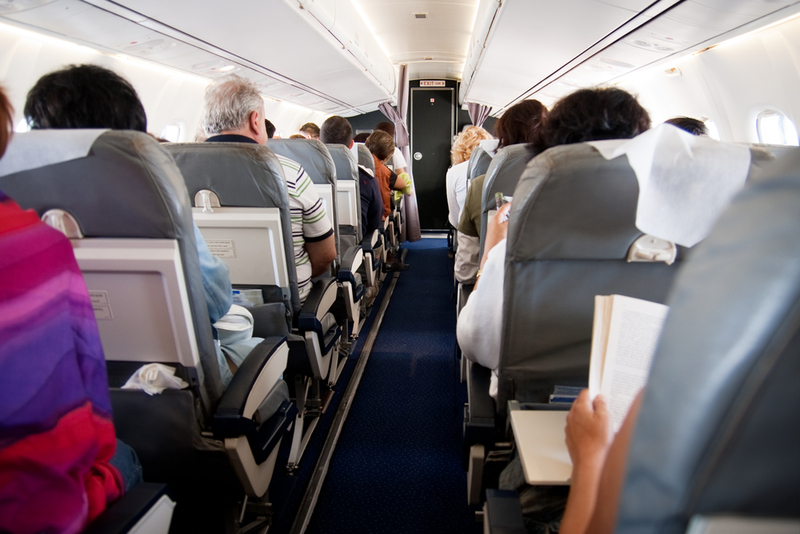 Most airlines allow two carry-ons per person. So, in one pack all the clothing and personal items you need for the weekend and stow it in the overhead compartment. In your other bag, pack things you need for your flight, such as snacks, charged electronics, an empty water bottle— which can be filled once you make it through security— and other forms of entertainment. Unless you have a friend who can drive you to the airport, you'll need to drive yourself and park at the airport. On-site airport parking lots will be extremely crowded, making it very difficult if not impossible to get a spot. Save yourself the time, money and hassle by making a guaranteed parking reservation with an off-site parking service. If you're traveling from the Bradley Airport, choose Z Airport Parking. Our Bradley Airport long-term parking rates are unbeatable, and we will make sure you arrive at your airport terminal in a quick and timely fashion. It's almost that time of year again – the holiday travel season. 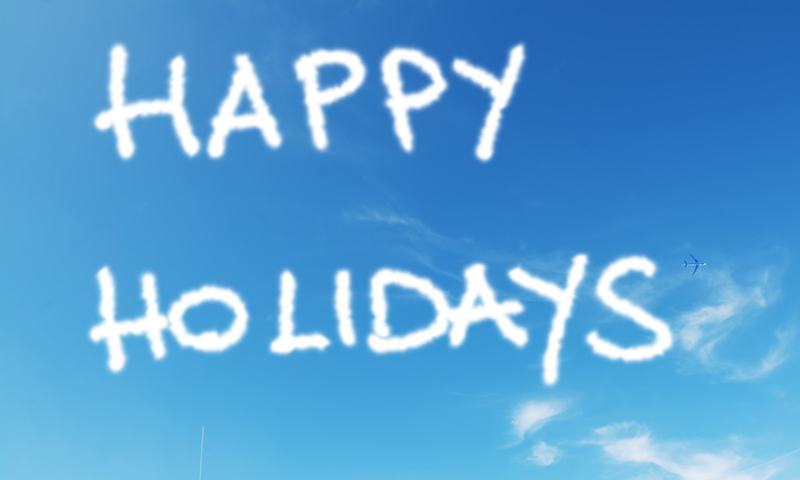 As you probably already know, the holiday season is the busiest time of year for traveling. This year, 71% of Americans are planning to take at least one trip between Thanksgiving and New Year's, according to the Orbitz 2015 holiday survey. This is a 6% increase from last year's survey. Thanksgiving: The Wednesday before Thanksgiving tends to be the busiest travel date of the year. According to Orbitz, November 25 is the busiest day to travel for Thanksgiving this year, and November 30 is the least busy day. The average cost for airfare to the top 10 destinations fell 9% from 2014 to $369. Hotel prices are an average of $181, up 5% from last year. The top 10 travel destinations for Thanksgiving are: Chicago, Orlando, Los Angeles, New York, Cancun, Las Vegas, Denver, San Francisco, Dallas and Washington D.C.
Christmas: December 23 is the busiest travel day for Christmas, and December 27 is the least busy. The average cost for airfare to the top destinations is $493, down 4% from 2014. The average hotel price is $201, a 2% increase from last year.The top 10 destinations for Christmas are: Los Angeles, Orlando, Cancun, Denver, Fort Lauderdale, San Francisco, Chicago, New York, Miami and Phoenix. New Year's: Like Christmas and Thanksgiving, the busiest travel day for New Year's is the day before, December 30. The least busy day to travel is New Year's Day. The average price of airfare fell 12% to $416, with hotel prices costing an average of $229 (a 17% increase) to the top 10 travel destinations. The top destinations for New Year's are: Orlando, Cancun, New York, Los Angeles, Fort Lauderdale, Chicago, Miami, Las Vegas, San Francisco, and Denver. If you will be traveling over the holidays, it's best to book your flight and hotel sooner rather than later. Last year, about 50% of travelers booked their Thanksgiving trips by October 20 and Christmas trips by November 13, according to Orbitz.com Senior Editor Jeanenne Tornatore. Along with booking your flights and hotels, you should also reserve a rental car and parking spot at an off-site airport parking service if need be, as they will fill up as the holiday season draws near. For those traveling from the Bradley International Airport, choose Z Airport Parking for parking at the Hartford Airport. When you book with our parking service at the Bradley Airport, you are making a guaranteed parking reservation and receiving the most affordable rates and highest quality service. Visit us online to make your reservation. Happy travels! There is a lot of tension and worry associated with air travel. There are so many things to remember that are outside of your regular routine, you're usually happy if you can just keep track of them all. And that's assuming you don't run into any problems. Every day, air passengers deal with delays, missed flights, cramped seats, long lines, extra fees, the struggle to get home again, and more. Here are some of the best ways to make this whole process easier, so that you can relax and get where you need to go without the worry. 1. Invest in valet airport parking—What's worse than dealing with all of the many hassles of air travel? Getting back to your car to find it covered in snow, damaged or missing. Of course, you could simply order a taxi to take you, but that's cost prohibitive if you don't live right near the airport, and it doesn't offer any protection for your vehicle while you are away. There is a better option, however: Z Airport Parking at Bradley provides you with a secure, monitored location in which to keep your car during your trip. Also, if it does happen to snow, you won't have to set your bags down on the wet ground while you dig it out. Our valet service will be more than happy to clean off your car and warm it up so that you can jump right in comfortably. 2. Remember TSA—TSA is considered a universal hassle, and there are really only two ways to deal with it that leave everyone happy: you can either try to play by the rules and get through quickly or apply for TSA PreCheck. Which of these options makes sense for you will depend largely on how often you travel. TSA PreCheck gives you access to security fast lanes at airports, allowing you to skip taking off your shoes and only requiring a regular metal detector for your items. The tradeoff is that you have to agree to a thorough background check and actual face-to-face meetings ahead of time to determine that you are a low security risk. Once cleared, though, getting through security from then on will usually be a breeze. If you travel all of the time, PreCheck might really save you some trouble in the long run; if not, you might simply want to check TSA guidelines for prohibited items (take that Swiss army knife out of your carry-on! ), wear easy-to-remove shoes, and have your ID ready. 3. Check in early—One of the best ways to ensure that you get a good seat (on airlines without assigned seating) and a spot in the overhead for your carry-on is to check in as early as you are allowed. Most airlines allow you to check in online 24 hours before the actual time of the flight, so make sure you are near a computer. 4. Stick with a carry-on – unless it costs more—The conventional wisdom is that carry-ons are always the better option, and that's usually true with airlines that offer them for free. However, some budget airlines these days charge low prices on tickets with the understanding that everything else will cost you extra – from snacks to carry-ons. These airlines often charge more for a carry-on than a checked bag, meaning that you will either pay a little more to avoid the carousel at the end, or pay less and wait for your bags. If you are allowed a free carry-on, take advantage! It involves less waiting and means that your luggage will never get lost in transit. 5. Make sure your luggage stands out—Have you ever noticed how many of the bags on the carousel look virtually identical? How much black rolling luggage do manufacturers think that we need? Rather than having to check every single piece that swings by you, invest in some unique luggage in an interesting color or pattern. It will be hard to mistake that bright green for someone else's black bag, and you'll be able to leave the airport more quickly. In a pinch, you could sew an identifying patch or tie a scarf onto your bag to help it stand out. Whether your next vacation will consist of hitting the slopes or relaxing on a tropical beach, there are many mobile applications out there geared to make planning a vacation and traveling that much easier. We have compiled a list of some of the best travel apps you should utilize for your next trip. With TripIt, you'll no longer need to sift through your emails to locate your important travel information. TripIt transforms your confirmation emails into a master itinerary, so you can access all your travel information in one convenient place. You can view your itinerary from anywhere and on any device, even when you do not have network access. While TripIt is a free app, TripIt Pro has many additional benefits. TripIt Pro notifies you when there's a better flight seat available, tracks your reward program points in one place, and saves you money with VIP travel benefits. TripAdvisor is a valuable tool for planning every aspect of your trip, from the destination, flight and lodging to the food, attractions and excursions. TripAdvisor has the world's largest collection of reviews from real people, who provide their honest opinion about restaurants, hotels and travel destinations. TripAdvisor users can also provide an overall rating and upload their personal photos. With Airport Parking Reservations, you can compare the prices and services of various airport parking companies. It includes all U.S. airports and provides a visual map of each airport and their parking lots. Whether you're looking for long term parking at the Bradley Airport or the Oakland Airport, the app will help you locate the best parking service at the cheapest price. World Lens is a useful app for international travelers. The app instantly translates the words it sees into your language. If you are having trouble understanding a street sign or restaurant menu, simply take a picture and the app will translate it in real time. No Internet connection is needed. Catch A Z | Reservations | Flight Status | Corporate Discounts | Directions | Blog | Contact Us | Copyright © 2007 Z Airport Parking. Designed and hosted by The Worx Group. Email the webmaster. Scrolling News Ticker by Mioplanet.